Give us a run down of what you saw, post pictures if you'd like...any info is welcome. Going to try to do one of these for each month this year, we'll see how that goes! Nothing to special this month, though we did have some pretty wild weather. As always, click on the photo's title for a higher resolution image. The air temperature is a balmy 7 degrees as Q329 rolls into Grand Rapids just before sunset behind a single ES44AH. CW44AH #549 rolls into Grand Rapids, negotiating the small S-curve just east of the end of the double track at Seymour. The trees are coated in a thick layer of ice from the previous night's ice storm. 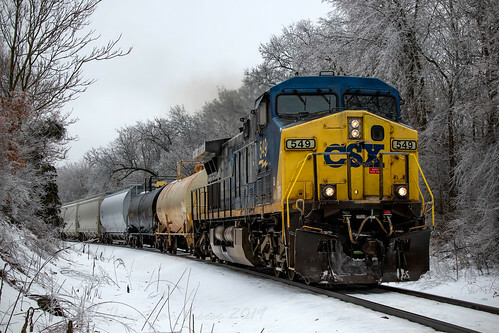 Everything is coated in a thick layer of ice as CSX local Y106 heads east from Grand Rapids to work some industries behind a single BNSF Gevo. 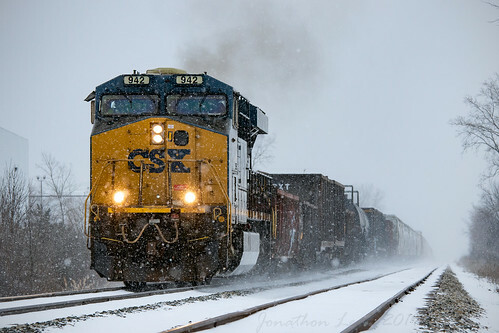 On a bitterly cold and snowy day, a single ES44AH does battle with the hill at Fox. 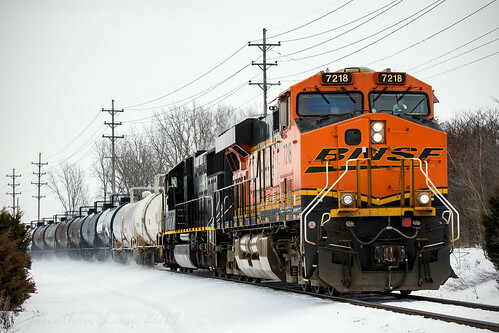 The long, heavy train was enough to make the GE work up a sweat! 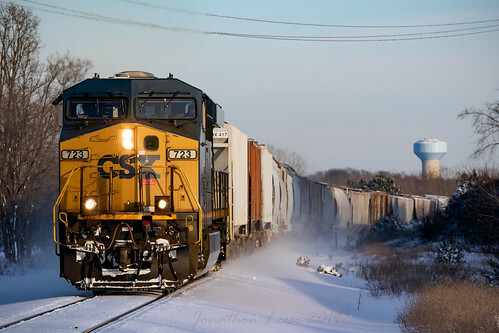 CSX train Q329 rolls into Grand Rapids with a BNSF ES44DC leading Illinois Central SD70 #1038. The SD70 was picked up by local D708 the day before from Peaker Services in Brighton, and after having received some much-needed engine work. CN has been cycling their SD70s and SD70Is through Peaker and other outside contractors for a little over a year at this point. Thanks for sharing. 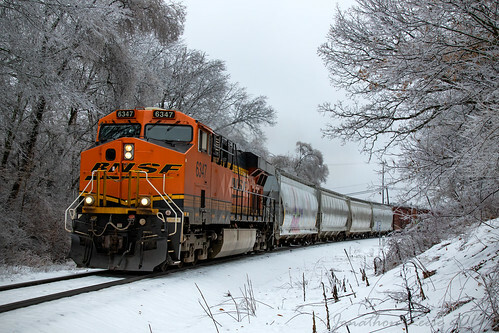 I like the trains in the snow. I feel the same as Saturn! Great photo's and commentary.